In light of the sudden demise of Paul Walker last Saturday, one of the stars of the Fast and Furious franchise, let’s have a look at the gorgeous cars used in the movie. 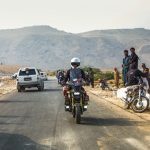 Let’s not theorise how, what, why or when the tragedy happened; let’s just remember Paul Walker as how he was – one of the good guys in F&F, much loved and most of all, deeply missed by all his fans around the globe. 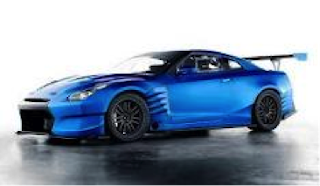 Driven by Brian O’Conner, portrayed by Paul, the Skyline made appearances in 2 Fast 2 Furious and Fast & Furious, used to race and for crossing the border. Its life ended when it was blown up by Dominic Toretto, played by Vin Diesel. 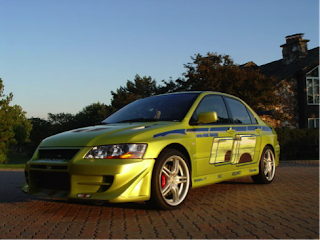 After his Skyline GT-R was disabled with the fictional harpoon ESD (Electronic Disruption Device), his 2nd car in 2 Fast 2 Furious is the Evo VII, his 2nd Japanese car (Mitsubishi) after he used Eclipse in Fast and Furious. 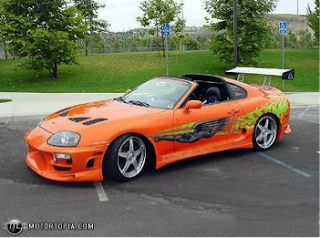 The Toyota Supra was Brian’s 2nd car in The Fast and The Furious, obtained when his Eclipse was destroyed by Johnny Tran. The Supra was used to rescue Vince from the semi-truck in the desert by Brian and Mia. This was used by Brian to race against Dominic in the drag race near the beginning of the first F&F. It was later shot up by Johnny Tran, rupturing the nitrous tanks and causing them to explode. This was arguably one of the most iconic cars in the film series. The Dodge Charger R/T is the main car that Dominic drove in the series. It was destroyed and rebuilt, and then destroyed again. The Charger made a return in the 5th film. A Charger Daytona appeared in the 6th installment of the series. 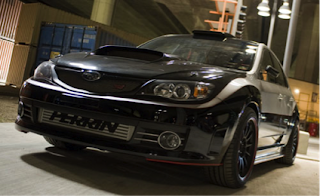 This car was first seen in The Fast & Furious: Tokyo Drift when Han brought Sean to his hidden garage and donated the car to him. It crashed with multiple cars at an intersection and was abandoned. It was also used during an escape attempt from Takashi. The Subaru was used to escape from negotiation and transporting Braga back to the US. It was destroyed by Fenix when exiting the tunnel. It was mainly driven by Brian and briefly by Dominic. 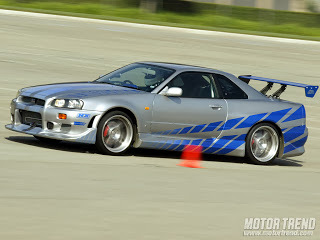 The Nissan GT-R is the successor of the Nissan Skyline GT-R R34 and is a minor car in the F&F series. It was driven by Brian in the last race against Dominic in his Dodge Challenger in Fast Five. The blue version was seen at Dominic’s house at the end of F&F 6 where the members of the team had lunch. 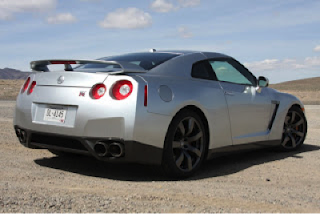 This GT-R was also driven by Brian and has an SP Engineering Bodykit.